After beef baron Larry Goodman’s ABP Food took a 50pc stake in Wexford-based Slaney Foods, the parent of Slaney Meats, back in 2016, the move culminated in Irish Farmers’ Association protests. Farmers and suppliers were concerned about falling beef prices and the arrival of powerful ABP as a shareholder. But fast-forward to today and Slaney is one of Europe’s top beef producers supplying over 25 countries, including China. Low prices are still a big concern for farmer suppliers, but fears around the acquisition seem to have been allayed. Not that the protests were likely to have given Goodman many sleepless nights. If any Irish businessman is deserving of the moniker survivor, it is him. 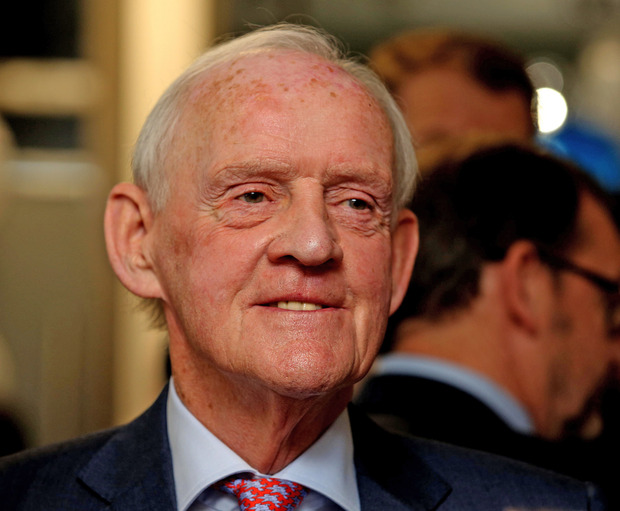 Now 81, and still actively involved in ABP Foods, the family beef business which had a turnover of €2.8bn in 2018, he has come out the other side of a Beef Tribunal, a horse-meat scandal, two recessions and business exposure following the Iraqi invasion of Kuwait. The Goodman business empire – which includes his wife Kitty and sons Laurence (37) and Mark (35) – now straddles the food, property, pet food and renewable sectors and employs 11,000 people, mostly outside of Ireland. Goodman is the executive chairman of the company which has grown to become one of Europe’s leading privately owned agri-businesses with 51 production sites across Europe. Day-to-day operations at ABP are handled by a management team consisting of chief executive Frank Stephenson, COO Finbarr McDonnell and a team of divisional heads, one of whom is Goodman’s youngest son Mark, who is managing director of ABP’s international division. His eldest son, Laurence, heads up the family’s property interests as well as running his own property development business – Urban Life. In fact, it is understood that Goodman and Laurence are the State’s biggest landlords, earning an €8m rent roll for office space to three government departments at the Baggot Street property, now known as Miesian Plaza. They also own an office block on Nassau Street in the capital, which they hope to redevelop. But beef remains where it’s mainly at for the business. Customers include supermarket private labels and restaurant and takeaway chains, while pet food has also been a growth sector in recent years. Earlier this year, ABP took control of Longford-based pet food manufacturing firm C&D Foods after it purchased the remaining 15pc stake owned by CEO Philip Reynolds. The company already had an 85pc stake in the business after the purchase of 50pc in 2008 and a further 35pc in 2011 in what is now one of the biggest European pet food suppliers. According to Reynolds, Brexit was a key motivation behind the buyout. Indeed Brexit remains a significant threat to for the wider group, as the UK is a big net importer of beef. Ireland accounted for 75pc of UK beef imports in November of last year, according to recent trade statistics. And although ABP has hedged against this in the North with a 50pc stake in Linden Foods and a factory investment in Scotland a source close to the meat industry said: “Brexit is potentially significant for them but it all depends on how the UK manages its beef tariffs. Mark Goodman, Commercial Director ABP Food Group. The type of post-Brexit bilateral deals the UK may strike with other trading blocs – including Mercosur (the South American trading bloc) which includes beef and other meat producers like Brazil, Argentina and Uruguay – will be a key concern, however. Some farmers fear that Brexit-related price pressures would not be passed on to consumers by dominant beef producers such as ABP – farmer suppliers would take the hit rather than supermarket multiples. “This is a fear among some farmer suppliers. Goodman is respected in the industry for paying and paying on time. But he is seen by some as ruthless,” said one farming source. Brexit-proofing is also likely to be a component in the company’s strategy of growing new markets, including China. Just last week, ABP announced that due to “extremely” positive demand it was extending its range of online beef products for Chinese consumers on the JD.com platform, which is one of the largest business-to-consumer online retailers in China with 301.8 million users. The Chinese market opened to boneless cuts from six approved Irish beef plants in June 2018 and demand has since been strong. By the end of 2019 it is estimated that more than 1,000 tonnes of Irish beef will have been landed in China. When Dundalk-born Goodman founded the business in 1954 it was not long before he raised his sights beyond the local market. One of his first acquisitions was Anglo-Irish Meats in the late 1960s and he hoovered up factories around Ireland while expanding into Russia and the Middle East. His ability to build up trust with customers and suppliers as well as handsome EU subsidies helped him to grow the empire. He also had strong political allies in the likes of former Taoisigh Charlie Haughey and Albert Reynolds. But the road to success was not without bumps. In the 1990s the Iraqi invasion of Kuwait brought difficulties. Goodman’s beef empire had given hundreds of millions in credit to the Iraqi government which defaulted on the debt. The banks then pulled the plug and the Government was recalled from holidays to pass special legislation to protect the Goodman business, given its importance to the Irish economy. Peter Fitzpatrick, Ireland’s first examiner, was appointed to run the Goodman empire. By 1995, Goodman had reassumed control of the business with the help of private backers and by 1999 he had paid them off and assumed full control. The Beef Tribunal arose out of a World In Action ITV investigation into irregularities in Ireland’s beef and cattle trade. The tribunal ultimately found that no wrongdoing had been done by Goodman or his company, but it led to the collapse of two governments. Goodman appeared before the beef tribunal in 1993 and the media-shy businessman has kept a low public profile since. While Brexit appears to be an extraordinary challenge for Ireland’s beef industry, sources close to the sector said that Goodman and his team will face it head on. They believe that business will be well set for the foreseeable future, even if Goodman steps back from the leadership of the group in the coming years. Another said that although Goodman has been at the centre of controversy from time to time, he has played a huge role in developing the Irish beef industry by providing an extremely efficient route to market for meat produced in Ireland over the past 50 years. Given his form to date, ABP is likely to continue to build on this, come what may. Next articleBrexit multiple choice again: How will UK parliament’s indicative votes work?